#CreateWelcome is social movement encouraging people to create and post messages of welcome and belonging for newly arrived Queenslanders (e.g. refugees, asylum seekers, migrants and international students). Thousands of welcome messages are being shared through the social networking platform Instagram. 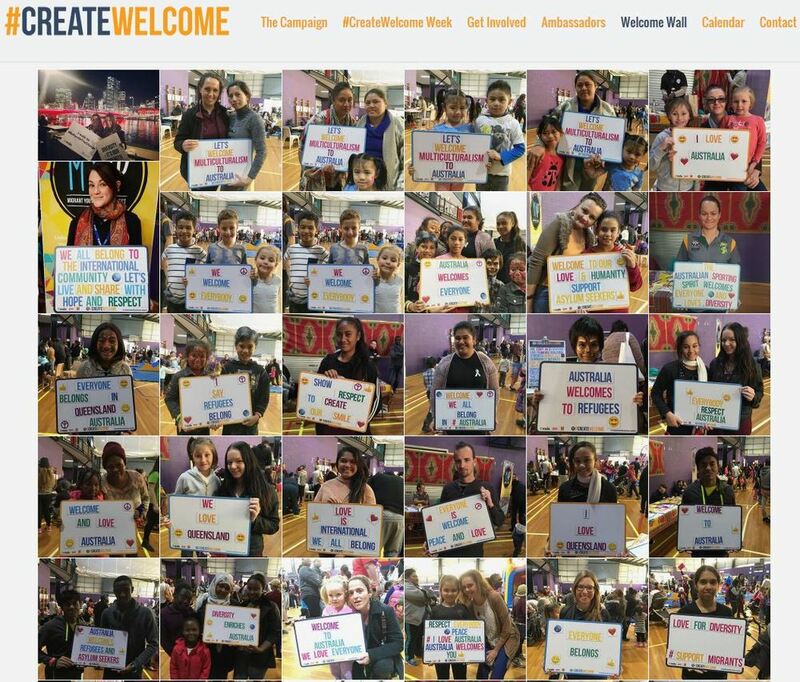 The #CreateWelcome campaign requires a collective effort to create a welcoming community so please join them and add your own message of welcome!